MultiBrief: Are hospitals compliant with patient access to medical records? Are U.S. hospitals compliant with federal and state regulations in their medical records processes? That is the central question in a cross-sectional study of 83 hospitals featured in the U.S. News & World Report Best Hospital Rankings for 2016-2017. The Health Insurance Portability and Accountability Act establishes the patient’s right for access of their protected health information within 30 days and in the format they prefer. In guidance, the U.S. Department of Health and Human Services allows hospitals to charge a reasonable cost-based fee; but per page fees may not be charged for records maintained electronically. A video, released by the Office of the National Coordinator for Health IT, even describes what patients need to know about accessing their medical records. In the study, researchers attempted to conduct scripted interviews (simulating a patient experience) with each medical records department, but three were deemed nonresponsive. In the others, they found noncompliance with federal regulations for formats on released information offered and/or state regulations on processing times. They also identified a need for reconciling information provided on medical records release authorization forms with what is shared directly by staff during phone calls. The only format without a variance between the form and phone calls was for mailed records. Figure 1 highlights the actual variances for each of the other formats (pick up in person, fax, email, CD and online portal). Two hospitals were unable to specify an amount of time for releasing medical records. Of the 81 who did respond with times, six had ranges extending beyond their state requirements. Only 53 percent of hospitals explicitly state that the entire medical record can be released. 35 percent disclosed the exact costs on the medical record release form; or on the webpage where downloaded. One hospital doesn’t charge a fee for releases via the patient portal. The cost for a 200-page medical record according to the forms was as high as $281.54. 43 percent don’t reveal costs on the authorization release form. 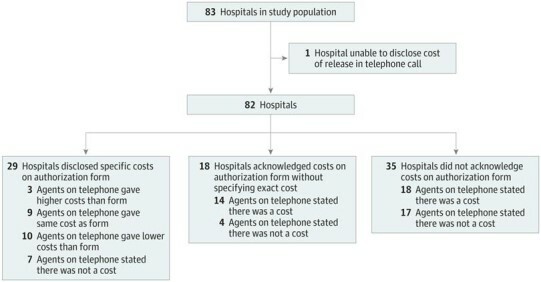 When researchers had to rely on the phone interviews for cost information, the fees could be as high as $541.50 for a 200-page medical record. Variability across hospitals and confusing or incomplete information can be frustrating for patients and their family caregivers. An unexpected or high cost can not only be frustrating, but also lead to a poor experience. Figure 2 delineates some of this variation. While this study focused on hospital releases of medical records; physician offices, clinics and other providers may also want to evaluate their current processes. It isn’t uncommon for a patient to be charged $35 by a specialist for the release of a two-page test report, even when it is needed by the referring physician for follow-up care. 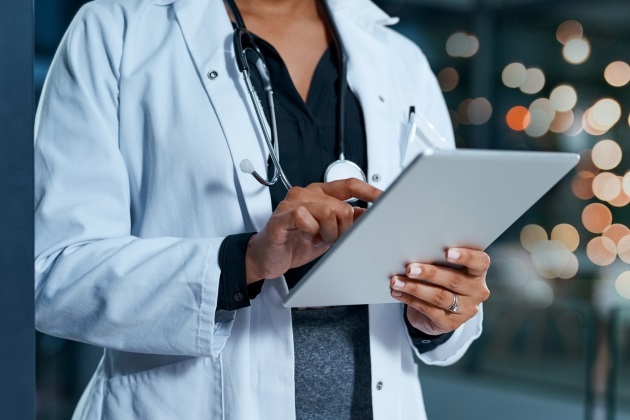 The study results present an opportunity for all healthcare providers to examine their release of medical records processes, improve patient access and add clarity and completeness to forms authorizing releases. This will contribute to a more transparent and less burdensome experience for patients and their family caregivers.